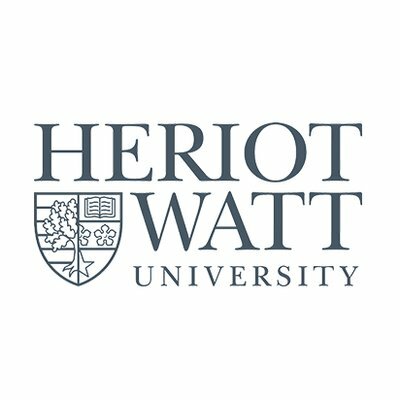 Heriot-Watt’s league season could be summed up in a couple of ways but, are they the surprise of the season? Did they do as they normally do? Or are they just a bunch of flat track bullies? Their results sort of point to all three. As Scotland 1A lost a couple of teams, Heriot were expected to struggle as the worse teams got demoted into the second tier, but they have comfortably finished mid table once again and will be going to Div 2 Nationals (if they actually end up going-with the schedule release we now know that they are going. We will see in what capacity). The boys in yellow smacked Dundee and St. Andrew’s at home, the two teams who finished below them for an aggregate win of 30-11. They lost the other three games at an average of 15-8. Every game they have played this season has been a blowout one way or another and their victory over Saints came as a bit of a surprise. Now that they are going to UMON, we will be waiting to see which Heriot-Watt turns up. Scout reports came in with one and a half names on the list. Fraser Stewart and Gavin Nicholson, with every report mentioning the former. The thing is, nobody could report any young guys to watch for and a couple mentioned a lack of development. That is a shame, but will it matter in the post season? Some would say that the youth problem can wait till next year. We rated St Andrews’ chances at UMON highly, but these boys spanked them. The strategy is simple. Fraser to get the disc every other pass and someone will probably try put it to him deep at some point. They use these deep throws to scare the opposition early in the game as their team is pretty tall, once they adjust the defence to take away the deep shots, they will try to get those big unders from then on. Defensively they have thrown a loose FSU to slow down offences and encourage slow laboured points, again helped by the fact that they are tall, so over the tops are less appetising. As with the other Div 2 qualifiers though, it’s much of the same. Vert stack and on the other side of the disc, trying to take away unders and see if the other team has any deep game. Heriot’s social media isn’t too active. So here is the guy to watch out for. Heriot-Watt’s league performance has been met with a bit of surprise, which could be a bit unfair considering the manner of their victories, but they couldn’t play any of the top 3 as close as Dundee or Saints. However, they finished fairly comfortably in fourth and that can be seen as an achievement in a season where the team has lost a lot of depth and the club has been struggling for members, not showing at any indoor nationals and their women’s scene suffering even more than the men. If they turn up to Nationals, Heriot have a good chance of making the top 8 if they manage to travel as a whole team, but they are the most likely of the three Div 2 qualifiers to suffer from having too small a squad. If they manage to bring enough legs, a medal is not out of their reach, but likely that won’t materialise. 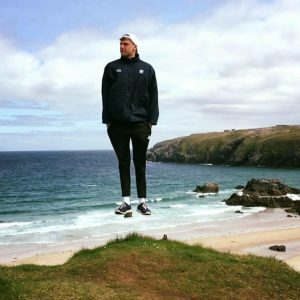 If you are new to the university ultimate scene, or don’t regularly follow the Scottish teams, the reason we have sown a lot of doubt on Heriot-Watt’s attendance is because in recent memory, they have not been able to travel down to Nationals. They have the same excuses as most teams who send weakened teams such as exams and the travel time, but instead of trying to scrap a team together, from the outside it seemed that Heriot just don’t care enough – maybe as it has always been Div 2. It’s hard to say what the original reason is, but now it is almost tradition for them not to travel and we thought it would be a surprise to see them make the journey to Nottingham, especially with a large team, purely as it hasn’t happened before.